From Schopenhauer to Gracian - Who Do They Admire?From Schopenhauer to Gracian - Who Do They Admire? 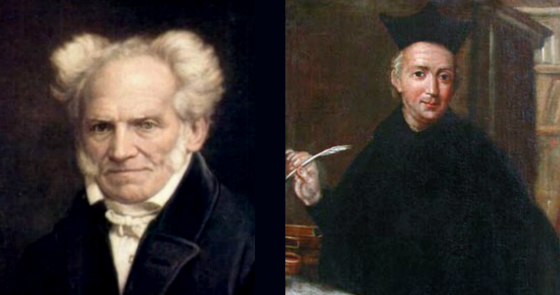 From Schopenhauer to Gracian – Who Do They Admire? My father gave [the book] to me as a present 72 years ago when I left Vienna to become a business apprentice in Hamburg…. A few months later I discovered [Danish philosopher Soren] Kierkegaard. And these two have become the poles of my life. Because of Gracian, I taught myself enough Spanish to read his work in its original language – and along with that I learned enough Danish to also read Kierkegaard’s work in its original language. In addition to his global outlook and deep knowledge of history, Drucker’s mind possessed yet another trait which I have observed to such a great extent only by the Argentine writer Jorge Luis Borges: the skill of bisociation. Borges seemed not only to have read everything, but he also had the skill of making the most improbable connections and associations. The same was true for Peter Drucker. He drew parallels and recognized commonalities between historical, current, and future developments, stretching broad intellectual arcs between them. Personalities such as Drucker and Borges seemed to have encyclopedic memories. Yet this alone was not enough; the real skill is the ability to make bisociative connections. Hungarian author (and Drucker contemporary) Arthur Koestler considered this competence the true source of creativity. One must have a curious and analytical mind, a diverse knowledge base, and a fiercely independent personality to see something differently from how the crowd is perceiving it and then have the courage to bet that you are right. I thought I would share some of the most impactful insights from Balthasar Gracian. Perhaps some of these may help in assessing our illustrious presidential candidates or see how these may or not be present in our lives and inspire us to make them so in the event they are not. Intellect without character can be very dangerous and unused potential is very sad. I always admire the quiet, thoughtful types because when they do speak, they tend to have something important to share and I know that it must be important since he or she does not speak gratuitously. Conversely, I detest exaggeration and find it a complete turn-off. Life is a continuous journey of evolution and learning if we actively choose to make it so. Charlie Munger has said to avoid conferences but cultivates great partners to converse with and to learn from. Gracian agrees. Like Munger and Buffett preach, there is no substitute for the highly focused fanatic in terms of beating the competition. Learn what your strengths are and focus on them. Gracian went so far as to recommend focusing on your greatest strength. True mastery can only come from a tremendous focus, paying close attention, and having an open, but skeptical mind. Whenever I read a book the number one goal I have is to learn more about human nature and what makes people tick. I make a concerted effort to get to know people well enough to see what patterns may reappear to help me process how they may see the world. We are absolutely our greatest enemies. Those that can tame their emotions and compulsions so they don’t rule the kingdom are often the most successful and fulfilled people. I hope you found these to be enlightening, thought-provoking, and applicable to your life. Which intellectual genius inspire you and why?